Welcome Back Divas!!! Yep, our summer Bible Study is back in session!!! 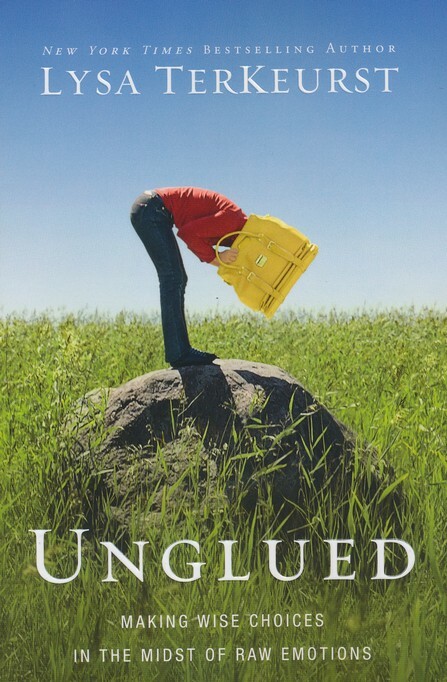 We are revisiting UNGLUED by Lysa Terkeurst! This study was life changing the last time we completed it 2 years ago. After many requests…. it’s BAAAAAAACCCK! The tag line for the book Unglued is: “Making Wise Decisions in the Midst of Raw Emotions”. Perhaps it is just me but I have quite a few, “raw emotions”. What do we do with these raw emotions? Is it really possible to make emotions work for us instead of against us? Yes, and the Unglued Bible Study turns us to God’s Word and shows us how! During our first session, we focused on Joshua 5:13-14(NLT)…just before the battle of Jericho. Just prior to meeting the man, Joshua led the people of Israel across the Jordan River after God parted it for them [Joshua 3:13-14] (just like he did with Moses and the Red Sea). With such a spiritual victory, it is quite plausible that Joshua may have been feeling victorious and ready for battle. Yet before he acted, he was required to chose a side. Just before becoming completely unglued about a work situation, bills, something that someone has done to us or an interruption in our schedules, we have an opportunity to choose God’s side by submitting to HIM right then. We can ask God what HE wants us to do BEFORE we do what we want to do in the moment. Read chapters 1-2 in the Unglued Book. Don’t have the book? Purchase it for $5 from Christian Book Stores . If you are close to Kernersville, NC..join us in person! Visit our Meetup Page for more info..otherwise just follow along online! Let us know in the comments about your week! Ok Divas, it is 2013! We have been on our cruise and the holidays are behind us! It is time for us to get serious about our fitness goals and cut the CRAP! “Cut The CRAP” is a 21 day challenge to eliminate unhealthy foods from your diet. Our challenge is a great way to jump-start your healthy eating resolutions AND we will be journeying TOGETHER! Caffeine –I like to have a cup of coffee in the morning and actually 1-2 cups of coffee or tea per day are not that bad. It is the Pumpkin Spice Lattes, and all the other sugary stuff that people (me included) tend to put in coffee that is the issue. Also, having more than a couple of cups per day can lead to muscle tremors, rapid heartbeat, nervousness, and depression. Refined Sugar – Just think of EVERYTHING! Just about everything in the American Diet has sugar in it! My beloved Coca-Colas, cakes, candy and just about every packaged food you can buy in a vending machine. Alcohol – I have always viewed alcohol as empty calories. I am not one of those people who need alcohol to unwind and have a good time! Just turn on music, and I am ready to dance completely sober! At any rate, limiting alcohol in take is a critical part of cutting the crap. Processed Foods – Most things that come in a box, jar, can or foam packaging from a fast food restaurant are processed. Most processed foods contain bleached wheat flour like white bread (gasp!). White sugar, white rice, white pasta are all processed and should all be avoided-at least during the challenge and then eaten in moderation afterwards. 2. Write your food down on a food diary OR use an APP for your mobile phone. Need a food diary? Go HERE. 3. You can have one *cheat meal* a week. 4. If your physician agrees, take a daily fish oil supplement. 5. Take a steam bath at least twice a week—-Make it fairly hot to sweat out toxins and add some Epsom Salts. Use a body brush all over, working in the direction of your heart. Don’t forget to come on back to class this week!!!! Go HERE for our calendar!